Keilhauer has been twice awarded by 2016 GOOD DESIGN for Doko and the Hangout Collection. GOOD DESIGN is presented by the Chicago Athenaeum, together with The European Centre for Architecture, Art, Design and Urban Studies as the foremost program that honours and recognizes the best design talent and the best manufacturing worldwide. “GOOD DESIGN represents the world’s critical mass of the design and manufacturing industry representing the best consumer design ranging from ‘spoon to the city’,” says Christian Narkiewicz-Laine, Museum President, The Chicago Athenaeum. 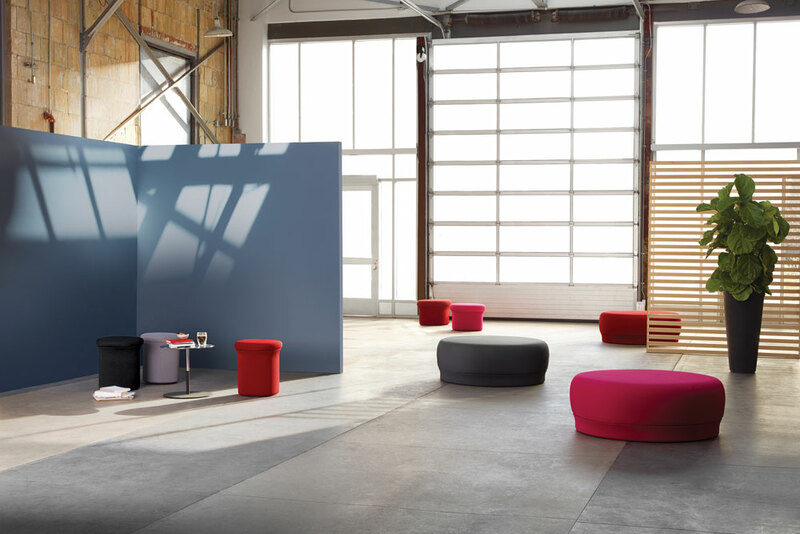 Originally introduced at NeoCon 2016, the Hangout Collection and Doko are examples of Keilhauer’s industry leading design and craftsmanship, and demonstrate the company’s commitment to facilitate better face-to-face communication, or “heads up” work. This is the second year in a row that Keilhauer has been acknowledged by GOOD DESIGN. Hangout and Doko were selected from among several thousand entries, from 46 different countries, to be recognized for this prestigious award program. 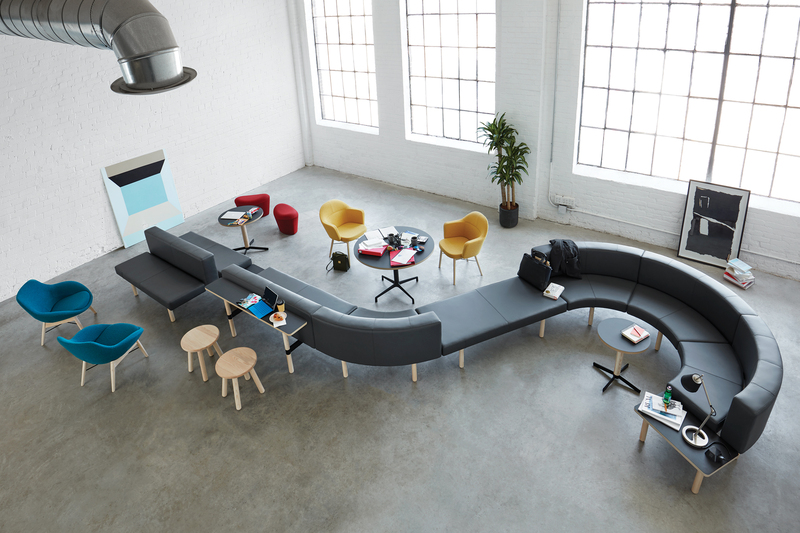 Hangout, designed by EOOS, features six related products — benches, sofas, ottomans, stools, tables and chairs — to create a comprehensive collection that benefits multiple teams at a time as well as the individuals within each team. Hangout provides many possible meeting spaces which can be personalized for the end user. Visit sofas and benches. Benches can be connected, with or without inline tables, to create beautiful, organic shapes. Attachable shelves are provided to offer alternative points of view. The Ponder lounge chair provides a dynamic seating option with a softly formal presence. Available in high or low back with a wide seat, it encourages a lengthy and comfortable sit with a touch of authority. Plunk ottoman’s soft and unexpected saddle curves and boat-shaped front provide flexibility of the mind and form. Sip stools and tables feature a pure and simple design; made from ash wood they add joviality to the collection. Recurring throughout the collection, ash wood, steel and swooping curves tie each piece in the series together for a cohesive look and feel. Hangout can be anchored by the Visit bench; complementary seats and tables can connect and span 360 degrees. Each piece can also be used individually to provide a space for solitary reflection or more intimate conversations. Back heights and curvature create privacy, while dynamic seating options, Sip, Ponder and Plunk, allow the meeting space to open and close as required for the group or the individual. Sip tables and Visit inline tables are also available power enabled. Doko – from the the Japanese word for “where.” — is ideally suited to foster informal conversation. Its playful design, by Ayako Takase and Cutter Hutton from Observatory Design, creates spaces where people can play, talk and listen. Doko comes in a variety of sizes: a perch at chair height, a small child-sized seat, ottoman-seat height and a large lounge piece available at ottoman height. Durable plastic Doko’s are ideal for high traffic and high use areas and a knit covered version provides a cozy, at home feel. Both versions come with attached cushions for comfort in a round or rounded square shape and the option of a rounded base to provide Active Sitting.